Interested in connecting with lawmakers and having an impact on public policy? Take a look at our how to guide. We want to hear from you. 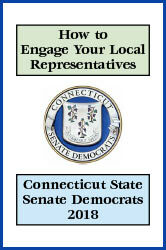 Fill out the form below and get involved with Senate Democrats!